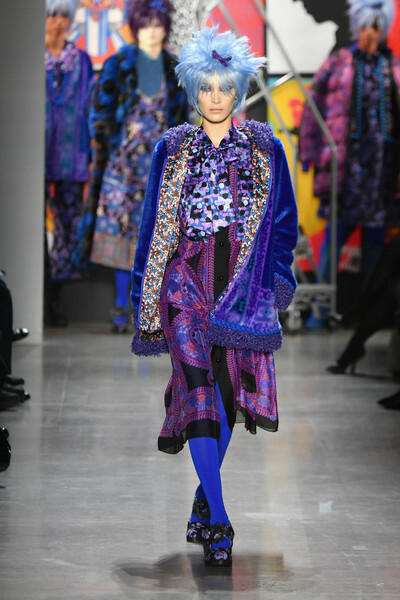 Bella Hadid walked the Anna Sui runway wearing a royal-blue velvet coat over a printed midi dress. A pair of electric-blue tights completed Bella Hadid's vibrant outfit. For her footwear, Bella Hadid donned a pair of printed pumps.